From 2004, when I began my employment at Rye Harbour Nature Reserve, to late 2018 I ran a moth trap at Lime Kiln Cottage. Now that the Cottage is in the process of being replaced by the new Discovery Centre and the trapping has moved up to Watch Cottage, it seems like a good time to take a closer look at the records amassed over that time. 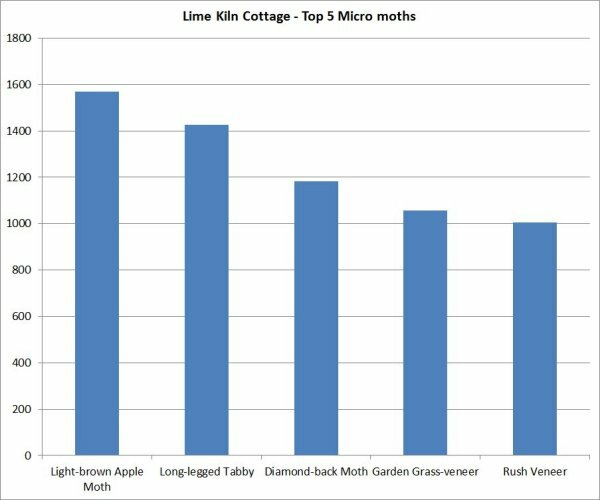 During this period the Lime Kiln moth trap generated 18193 records of 484 species of moth, as well as 18 species of fly, 12 species of beetle, four species of butterfly and two species of caddis! 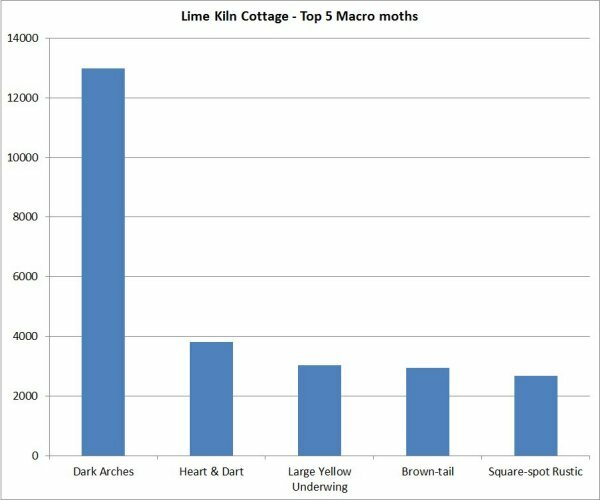 The top five moths in this time were all macros and all but one are members of the family noctuidae (sometimes known as owlet moths – Noctua is the Latin for ‘little owl’) and these five species accounted for over 30% of all individuals trapped. 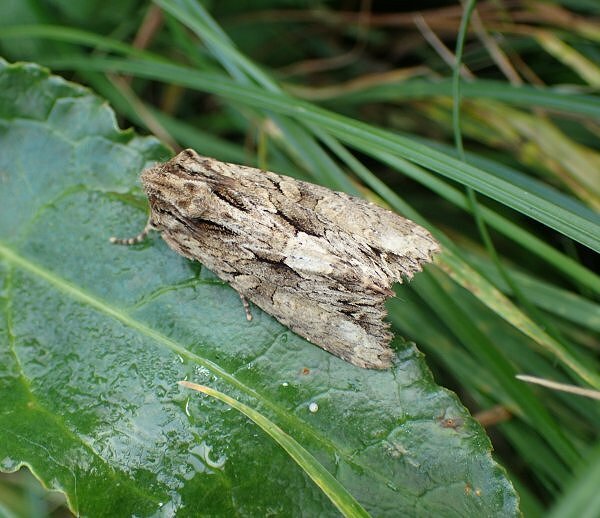 By far the commonest moth from 2004 to 2018 was dark arches, a medium-sized cryptic species with larvae that live underground on a wide range grasses. This catholic taste, combined with the ubiquitous nature of grasses, probably largely accounts for its abundance, and two other species out of the top five (square-spot rustic and large yellow underwing, as well as garden grass-veneer and rush veneer among the top five micros) have larvae that feed at least partly on grasses. 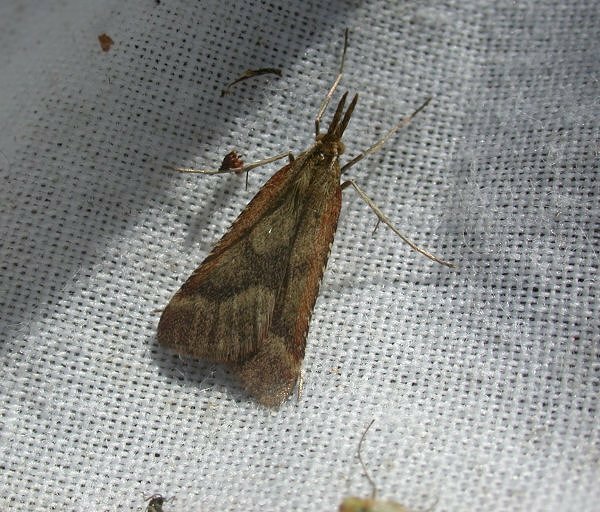 Another factor which probably contributes to the abundance of large yellow underwing (and also diamond-back moth and rush veneer, two of the commonest micro species) is the fact that they are migrants which can also have several generations in the UK. Probably the least common species nationally in the top five (though not what you’d call rare) is brown-tail moth, which is largely restricted to the south and east coasts of England. This is also the only non-noctuid, being a member of the ‘tussock moths’ (lymantriidae) related to species such as vapourer, black arches and gypsy moth. Larvae of this species feed in communal webs on the leaves of plants such as hawthorn, blackthorn and bramble, though Cotoneaster was a particular favourite in the Lime Kiln garden! 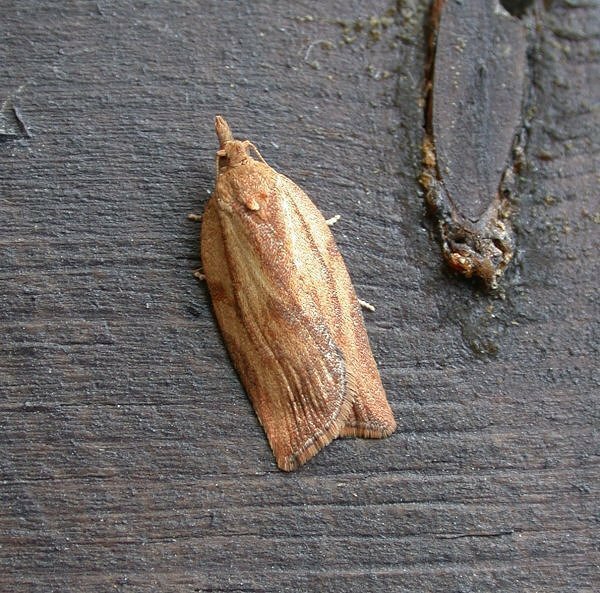 The most abundant micro species, light brown apple moth (below) was an introduction from Australia in the 1930s and has since spread to become regular in much of the UK. The larvae feed on a very wide range of plant species and in Australia and California (where it has also been introduced) it can be a serious agricultural pest. Long-legged tabby (below) is the least common of the species dealt with in this post, with a conservation designation of Nationally Notable B and a distribution largely confined to southern part of England and Wales south of the Wash. 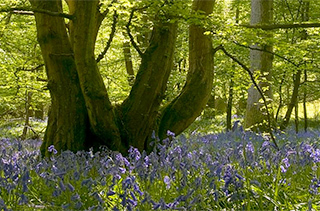 The larvae feed on various species of moss, usually in coastal habitats such as sand dunes or shingle beaches.